Writing for The Washington Post, skeptical environmentalist Bjørn Lomborg discusses likely impacts of any required carbon cuts, and, crucially, the huge cost of carbon cuts versus other means of reducing emissions. 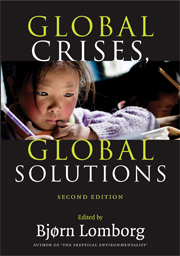 Lomborg’s most recent book is Global Crises, Global Solutions. COPENHAGEN — In speech after rousing speech at the United Nations summit on global warming last week, politicians emphasized the need to protect the world’s most vulnerable, who will be hit hardest by climate change. The rhetoric did little to disguise an awful truth: If we continue on our current path, we are likely to harm the world’s poorest much more than we help them. Urged on by environmental activists, many politicians are vowing to make carbon cuts designed to keep expected temperature rises under 3.6 degrees (2.0 Celsius). Yet it is nearly impossible for these promises to be fulfilled. Japan’s commitment in June to cut greenhouse gas levels 8 percent from its 1990 levels by 2020 was scoffed at for being far too little. Yet for Japan — which has led the world in improving energy efficiency — to have any hope of reaching its target, it needs to build nine new nuclear power plants and increase their use by one-third, construct more than 1 million new wind-turbines, install solar panels on nearly 3 million homes, double the percentage of new homes that meet rigorous insulation standards, and increase sales of “green” vehicles from 4 percent to 50 percent of its auto purchases. Japan’s new prime minister was roundly lauded this month for promising a much stronger reduction, 25 percent, even though there is no obvious way to deliver on his promise. Expecting Japan, or any other nation, to achieve such far-fetched cuts is simply delusional. Imagine for a moment that the fantasists win the day and that at the climate conference in Copenhagen in December every nation commits to reductions even larger than Japan’s, designed to keep temperature increases under 2 degrees Celsius. The result will be a global price tag of $40 trillion in 2100, to avoid expected climate damage costing just $1.1 trillion, according to climate economist Richard Tol, a contributor to the Intergovernmental Panel on Climate Change whose cost findings were commissioned by the Copenhagen Consensus Center and are to be published by Cambridge University Press next year. 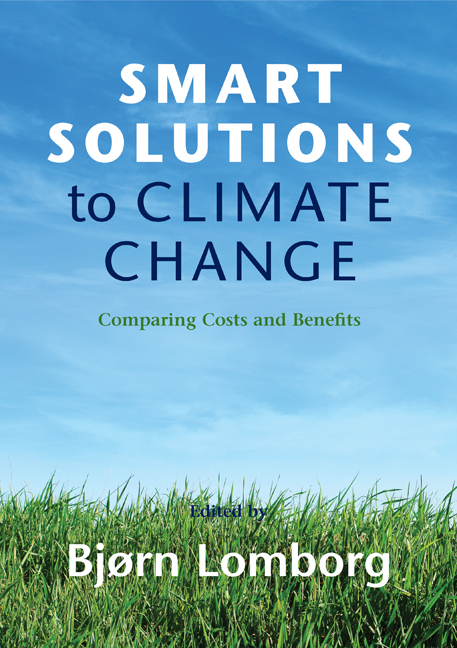 That phenomenal cost, calculated by all the main economic models, assumes that politicians across the globe will make the most effective, efficient choices. In the real world, where policies have many other objectives and legislation is easily filled with pork and payoffs, the deal easily gets worse.